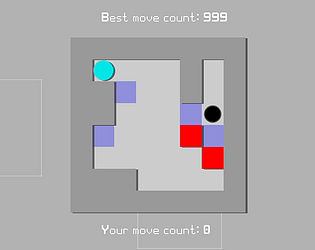 Rotate the entire game world to get the ball to the target, but beware of tricks and traps! 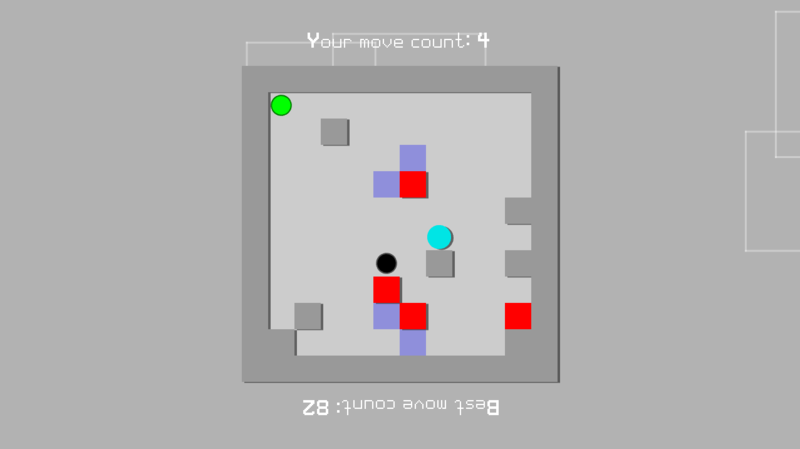 - Left/Right arrow keys, rotate the world. 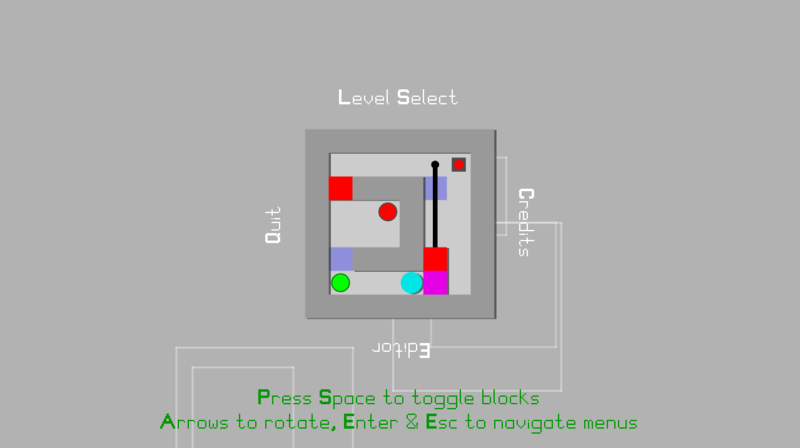 - Space, toggle between red and blue blocks. - Enter, select in menu. - Escape, go back in menu. 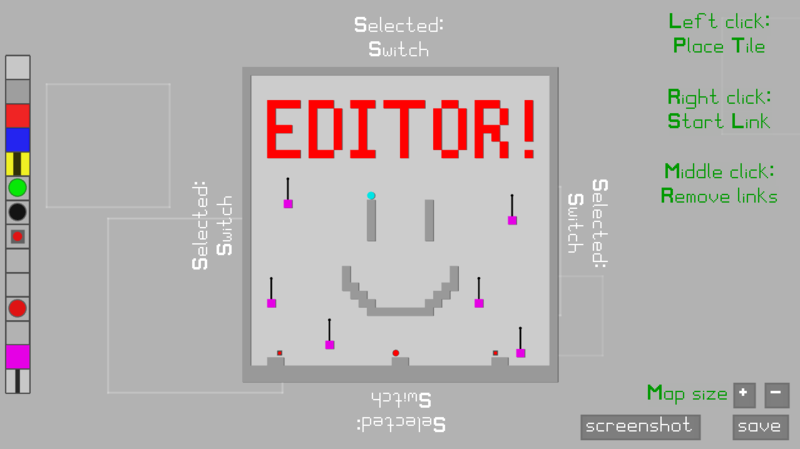 Also contains a WIP level editor! Extract from archive and run either squarethecircle.exe (Windows) or squarethecircle.sh (Linux).